Long, long ago, in a town not so far away, I took a few writing workshops by the wonderful Ann Elia Stewart. At the Cleve J. Fredricksen Library, Ann led about a dozen writers to better focus on their craft. We learned to help each other, too. I'm doubly grateful to Ann because through those workshops, I joined three other excellent authors to form a critique group that's lasted for years. They're not just crit partners, but wonderful friends. Last year, Ann helped coordinate the submission process for a fundraising anthology to benefit the library and the Natalie D. Craumer Writer's Workshop. I submitted two of the literary short stories I worked on during that time, along with my three critique partners, and I'm excited we've all been accepted! The anthology will be titled: A Community of Writers. A collection of short stories from the Natalie D. Craumer Writer's Workshop of the Cleve J. Fredricksen Library in Camp Hill, Pennsylvania. And a special thanks to Ann for all her efforts in coordinating it, but especially for her enduring enthusiasm and encouragement to all writers, and for helping to shape so many communities of writers. I'll post more information as the process moves forward. It's a worthwhile cause, and I'm proud to be part of an effort to continue helping other writers. The economy has hit many of us. Some people have felt a nudge but others received a wallop when they lost their jobs. Some like me received no pay raise this year even though everything I've needed to purchase, food, clothing, fuel, electric and college tuition, has skyrocketed. To make up the difference, I've had to cut back on things I don't need for basic survival. I've started making my own ice coffee instead of getting it at Starbucks. We cut out the family vacation last summer. My grocery cart has more generic items mixed in and we've tried to drive less. Another item I cut back on, though it breaks my heart, is the purchasing of books. Even though I feel I can't live without something to read, books don't rank on the same level of necessity as food and electric. I probably purchased half the number of books in 2011 as I did the year before. I did lots of my reading from books I borrowed from the library. Sometimes I had to wait weeks after the book was released to have it in my hands and of course, I can't put it on the keeper shelf, but it sure was cheap. The next biggest group of books I read this past year were ebooks I purchased online. No driving cost, no shipping, immediate delivery and excellent prices. 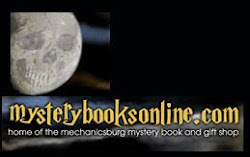 Many small presses and self-published authors sell their ebooks for very reasonable prices below $5. My romance publisher recently offered one of my books, One Good Woman, for the terrific price of $1.99. My fantasy series, The Futhark Chronicles, are offered at low prices, $1.99 for The Keepers of Sulbreth, and $2.99 for Beyond the Gate. Does the low price mean these books being offered aren't the quality of the ones you might pay 10 to 30 dollars for at the bookstore? Not at all. It means the publishers and authors know a reader will take a chance on a new author if they're not risking too much money. It also means the publisher and reader understand that ebooks carry less overhead and production costs compared to printed books. So don't let the lean times rob you of the joy of reading. Check out the library and shop for bargain prices on ebooks at any of the major online retailers. Do you use your local library? Have you been spending your reading dollars on ebooks? Have you purchased fewer books in the last year than the year before? I don't write horror and I usually only read it when my friends write it. But in my epic fantasy series, The Futhark Chronicles, there are some horrific creatures the people of Futhark must battle. In The Keepers of Sulbreth, the magically gifted Keepers are women dedicating their lives to protecting ordinary people from demons. The Marshals are the swordsmen who help the Keepers in their duties. I enjoy creating the monsters plaguing Futhark. I often doodle and design them during boring inservices and faculty meetings at work. Not that I'm an artist, but putting a picture with my ideas inspires more ideas. Childhood fears and those instinctual fears humans are born with also inspire my demonic creations. One of the horrible demons introduced in Keepers is a giant snake. Another is a poisonous rat-like creature that hunts in packs. Who isn't creeped out by rats and snakes? I also gave one of my demons wings with jaws and claws, kind of like a velociraptor that can fly and of course travels in flocks. Then there in one of my favorite, a huge, heavy beast with the personality, body armor and horns of a rhinoceros. Then I get to name them. Some new demon beasts are discovered in the second book in my series, Beyond the Gate, and the Keepers and Marshals have their hands full saving the people from these powerful, fantastical fell beasts. What kind of creature might your nightmares create? What animal in real life gives you shivers up the spine? Spiders? Snakes? Rats? Aubrey from Romancing the Book gave The Magic of Lavender a rating of Rose That Rules All, its top rating! Woot! I'm so grateful Aubrey took the time to review it. All reviewers are swamped with requests these days, and it can be particularly difficult to get a self-pubbed novel reviewed. 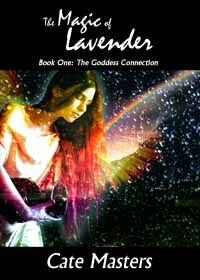 I've always loved books that center around Goddesses and The Magic of Lavender fits the bill perfectly. The cast of characters of this book keeps the book even more interesting. The underworld that was created by Masters is unique in that it is an entirely different way at seeing Goddesses. The Inn is on ley lines that help Joss use her magic. Using the ley lines she makes the Lord of the Underworld angry. You really need to read the book to find out what happens! 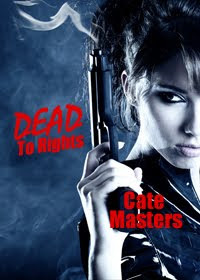 I cannot wait to read the second book in this series and other works by Cate Masters. This book really made me escape my boring life and enter into one that magic is possible. Sometimes inspiration strikes as I read other blogs. And today I came across a blog that was so beautifully written, I just had to share it. McKenna Darby's post on the Hearts Through History blog is one every aspiring and published author should read. If you want to know how to make characters come alive, McKenna has the secret. And, coincidentally, it'll make your settings more vivid too. If you want to read more of McKenna's wisdom, you can read her blog. It's well worth the time. I am a staunch believer in having an editor. Though I have amazing critique partners, and a bunch of them too, an editor always lends greater insight and perspective to a story. Takes it another level higher. As particular as I am about correct punctuation, grammar, and getting all the details right, I worry that I missed something. Or that the storyline has a hole. 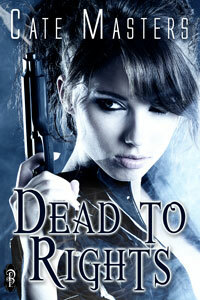 So I am thrilled that Decadent Publishing contracted my dark paranormal novel, Dead to Rights. I'd self-pubbed it last year, but hoped an editor could help me kick it up to that next level. (There's always a next level!) Unfortunately, I can't afford to hire an editor. I just finished first-round edits, and am loving it. And hating it. Grueling as edits can be, I know I'll be happy with the end results. I also wasn't satisfied Dead to Rights was receiving enough exposure. Lately, reviewers are swamped, so getting any reviews are difficult, but it's a little more difficult to entice a reviewer to read a self-pubbed novel, unfortunately. I'm hoping that now it will receive a little more attention. The new, tentative release date for Dead to Rights is late February. Woo hoo! And I just received this cover in my email. Beautiful, isn't it? The wonderful Cate Masters has started a new blog where writers can share news about their newest releases and their expertise on writing. I'm honored to be today's guest. I'll be talking about the dangers of trying to follow trends in the industry. I'll also be promoting my epic fantasy series, The Futhark Chronicles. 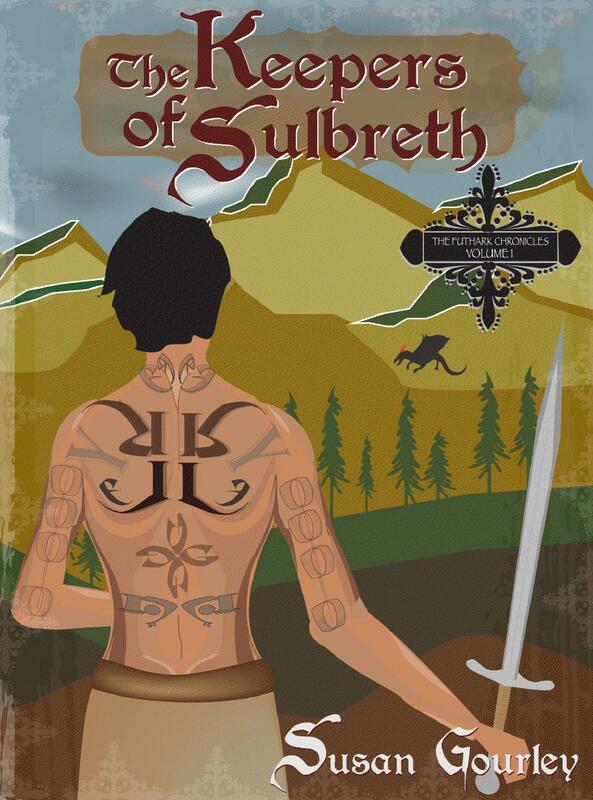 Just by visiting and commenting over at the new blog, TBR, you have a chance to win a print copy of the first book in my series, The Keepers of Sulbreth. If you prefer a digital format, The Keepers of Sulbreth is now available at the reduced price of only $1.99. The book I'll be promoting is the second book in my series, Beyond the Gate. 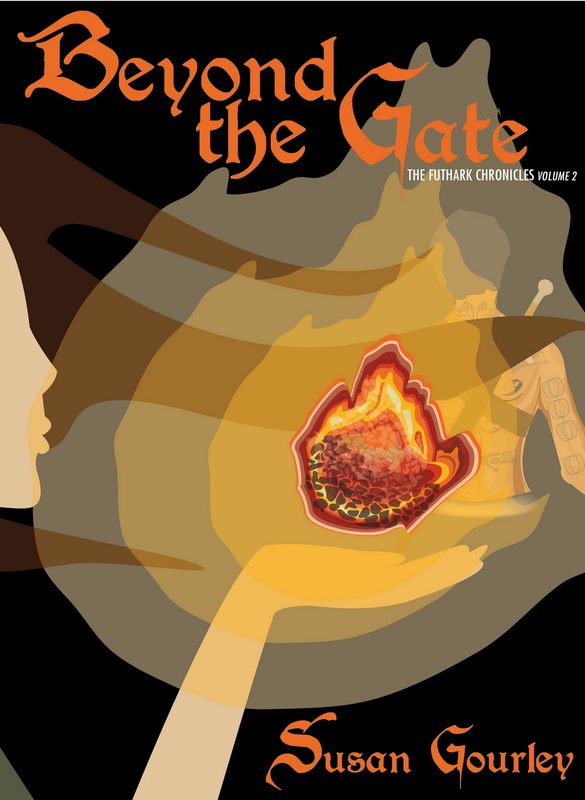 Beyond the Gate begins the moment after Keepers ends with Marshal Cage Stone and Keeper Sabelline Shelton entering the mysterious cavern leading the magical seals that must be renewed. The dark pathways lead them into more danger and surprises than their training has prepared them for. Read more on my blog and over at TBR. Are you reading more epic fantasy with the resurgence of the genre thanks to HBO's Game of Thrones? Do you find some of your reading material from reviews and blogs you read online? Exactly one year after my former publisher was supposed to release Book #2 of my epic fantasy series, Beyond the Gate, I have made it happen. Without going into the gruesome details of the severing of my relationship with said publisher, I reclaimed my rights to the series after they lapsed in their responsibilities to seeing my book was released on time. As of today, I've reduced the price of the first book in The Futhark Chronicles, The Keepers of Sulbreth, to the bargain price of $1.99. Of course, I'm hoping you'll love the first book so much, you'll have to hurry back to your favorite online digital retailer and buy the second book. Beyond the Gate takes up just one moment after The Keepers of Sulbreth ends. Marshal Cage Stone and Keeper Sabelline Shelton enter the mysterious cavern they must navigate to reset the magical seals preventing a demon invasion of the kingdom of Futhark. King Jonared and the remaining Keepers and Marshals have more problems than demons to deal with as an ambitious lord decides he wants the throne of Futhark for his own. Cage and Sabelline will find everything they thought they knew under question and only a great sacrifice by Cage and an act of courage by Sabelline might turn the battle in their favor. So I hope you're looking for a new epic fantasy series to read or if you've already read The Keepers of Sulbreth, you're waiting for Beyond the Gate.